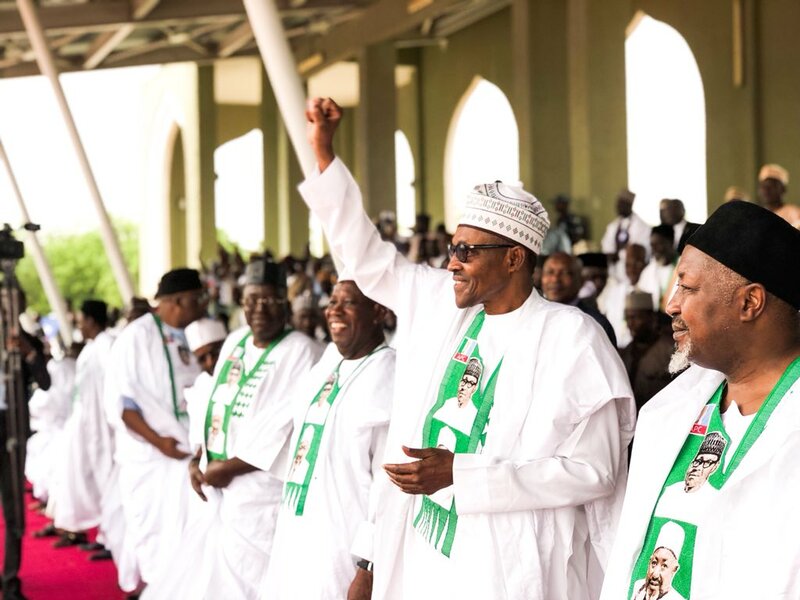 The President who spoke on Tuesday in Hausa dialect at the Aminu Kano Triangle in Dutse also launched the State Social Intervention Programme by the Jigawa State government. “I am excited about what I have seen over the last three years. I have seen the commitment to return to the farm. “I have also seen the impact of irrigation which was abandoned for more than ten years. We have stopped the importation of rice and this is for the good of our country,” he said. He noted that he pleased with what the state government has done towards improving agriculture especially the commitment to return to the farms and the impact of irrigation. “I’m happy with how the people of the state came out en masse to support us. We know your plight. We have you on our mind and we are doing everything within our power to improve your welfare,” he added. The Jigawa Intervention Program is aimed at boosting agriculture through empowering and funding farmers in the state towards increased production. The launch is in continuation of the President’s two-day working visit to the northwestern state. It is the president’s first visit to any state in the country since his return from a medical trip to the United Kingdom last week Friday.